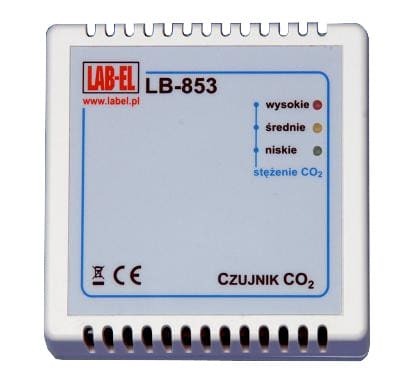 The basic function of the LB-854 regulator is to measure CO2 (carbon dioxide) concentration in atmospheric air. 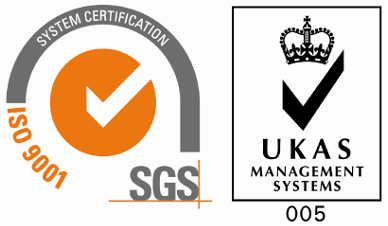 Additional functions include: signalisation of the breached alarm limits, regulation connected with the CO2 measurements. By default, the meter is equipped with stub connectors, via which the measured gas is to be supplied (by forced gas circulation); it may also be enclosed in a free-flow casing with a free gas circulation. 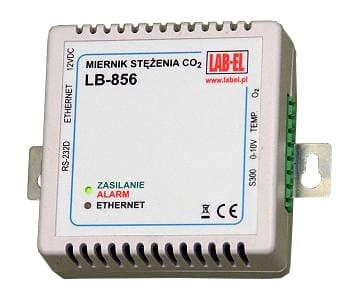 If requested by the ordering party, the LB-854 may be equipped with a thermistor used for temperature measurement. The temperature values are then recorded together with the CO2 concentration and may control one of the device’s relays. 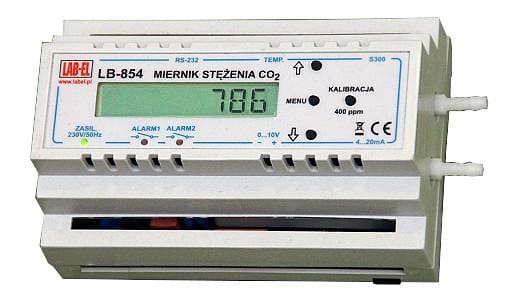 The LB-854 carbon dioxide concentration meter is a stationary device, powered from an external power source. For the purpose of taking measurements, the controller uses the NDIR-based method (NDIR — non-dispersive infrared). It measures the damping of IR radiation of a specific wavelength emitted by the measured gas; this damping is dependent on the carbon dioxide content in the measured gas. The NDIR method provides accurate and stable measurement results and many years of trouble-free operation. The CO2 measurement sensor is located inside the regulator, and the measured air may be supplied from the outside via the stub connectors, which supply the gas from a distant location. The CO2 regulator may be executed in versions featuring various measurement ranges, depending on the application (by default: 10,000 ppm). For the temperature measurement, and external sensor connected to the meter’s clamps is used. In the temperature sensor a precision thermistor is used to ensure the repeatability of the measurements when the sensor is replaced with a new one. The temperature measurement is optional, and a thermistor may be included in a device at the ordering party’s request. 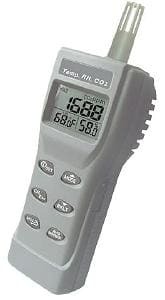 The CO2 concentration meter features a number of output interfaces for use in many applications. The digital RS-232 interface is used during the meter’s calibration and is used to connect the instrument to a measurement results data collection system (e.g. the LB-762 climate regulator, the LB-480 data recorder, the LBX software), similarly to the LAB-EL S300 interface. The CO2 regulator also features two analogue outputs — one 4…20 mA and one 0…10 V — that may be used to output the measurement results or (optionally) to control the working devices proportionally (e.g. a valve or a fan) in the CO2 concentration regulation processes. The CO2 meter’s two relay outputs may be used to signal when the alarm limits are breached or for regulation in the on/off mode (e.g. ventilation). The current results of the CO2 concentration and temperature measurements are visible on an alpha-numeric, backlit LCD display. The keyboard integrated with the meter is used for programming alarm thresholds and (optionally) parameters connected with regulation. When the programmed alarm thresholds are breached, the signal is triggered — via a buzzer and LED lamps located in the front panel of the controller. The LB-854 carbon dioxide regulator is equipped with a key, to calibrate the mete for a concentration of 400 ppm. To this end, a gas with a concentration of 400 ppm should be supplied to the meter; wait until the measurement results stabilize, and then press and hold the “400 ppm calibration” key for a few seconds. Measurements may be (optionally) recorded in the regulator’s built-in memory (approx. 30,000 measurement entries) and later on read-out via the RS-232 interface. The carbon dioxide regulator’s housing is adapted for installation on the TS35 rail. The instrument is powered from a 230 V/50 Hz network grid, or, optionally, from a 24 V AC/DC power source. 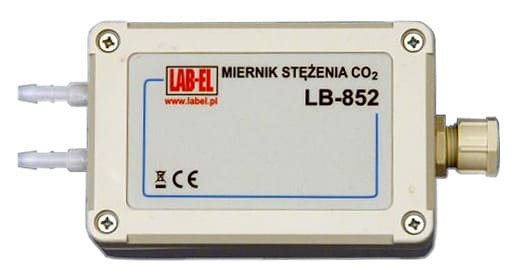 Alternative CO2 meter: LB-852, LB-853. operational monitoring of ventilation systems in various facilities (e.g. offices, livestock buildings); details in an additional description. 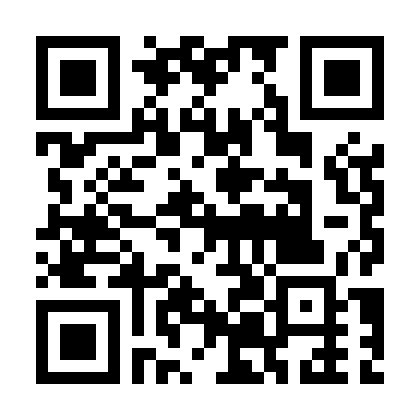 Remark: The water must not be subject to condensation inside the CO2 meter. When a meter is used for measuring air drawn from hot and humid rooms (e.g. from a mushroom-growing cellar), there should be an external dehumidifying filter used before the meter. The CO2 meter shall be at a temperature 5…10 °C higher than the room temperature from which the humid air is taken for measurement. Pomiar CO2 metodą NDIR, przepływowy, zakres do 10000 ppp. Interfejs analogowy napięciowy 0..10V i cyfrowy S300 LAB-EL. Do systemów klimatyzacji do hal uprawy pieczarek. Pomiar stężenia dwutlenku węgla CO2 (ditlenku węgla) zawartego w powietrzu atmosferycznym w zakresie do 10000 pppm. Dodatkowo pomiar temperatury, sygnalizacja przekroczenia stanów alarmowych oraz możliwość regulacji stężenie CO2 i temperatury. Pamięć rejestracji; interfejsy: analogowe 4..20 mA, 0..10 V, cyfrowe RS-232, S300; 2 przekaźniki sterujące. Współpraca z programem LBX.